Memorial Day…. What does that mean??? Memorial Day was originally about honoring the soldiers who died during the Civil War to preserve the United States of America. As time went on and other major wars were fought, Memorial Day Observances were expanded to include ANY American soldier who fought and died for his country. Who “Gave His All”, is how they said it. But, what about the soldiers who in many ways “Gave His All” and still managed to come home alive. The ones they called “shell-shocked”. The term “shell shock” was used during the First World War to describe the acute stress reactions displayed by many soldiers in the battlefield. 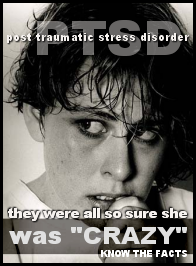 When unaddressed, short-term combat stress reactions can lead to more prolonged problems, like post-traumatic stress disorder (PTSD). The study of combat stress reactions has advanced significantly since the First World War, when soldiers with shell shock were commonly treated as malingerers who were attempting to get out of the fighting. Several things are signs of shell shock. Most commonly, soldiers seem disoriented and unable to focus. They may also experience a number of autonomic nervous system reactions like shaking, nightmares, twitching, headaches, fatigue, insomnia, dizziness, anxiety, and irritability, among others. 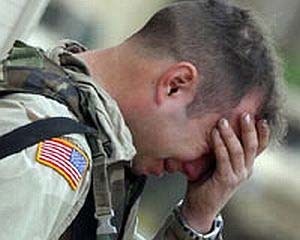 The rate of combat stress reactions tends to go up as the rate of injuries and deaths increases. In the trenches of the First World War, the 10% casualty rate was devastating, and rates of combat stress reactions were extremely high. Like the soldiers accused of cowardice, we too were sent back to the front lines every day. We had no escape either. Many were told, “just get over it”, or “stop faking it” or any other of an endless stream of remarks designed to diminish what we were feeling, to shut us up, to make us doubt ourselves and our reactions. …. Just like the soldiers with shell shock or PTSD. Thank God for 12 Step Programs! And yet, many partners, even after experiencing several of the above situations, don’t want to believe that they are in an abusive relationship, don’t want to believe that it will happen again, and again, and again…. until they get out and stay out! Are we setting the bar way too low? Are these the bare minimum kinds of expectations? Today, I can say, Yeah! This bar is way too low! But, there are lots of ways that abusive behavior can creep into our relationships, and depending on what we saw growing up, we don’t even have a clue that it IS abusive. When someone confront us, asking, “Why do you let _____ get away with treating you like that? !” We find ourselves shocked that anyone would consider it abusive. Use intimidation or threats to get you to do what they want? Tell you that you are nothing without them? Treat you roughly – grab, push, pinch, shove or hit you? Call, text, or email you several times a day or show up to make sure you are where you said you would be? Use drugs or alcohol as an excuse for saying hurtful things or abusing you? Pressure you sexually for things you don’t want to do? Make you feel like there “is no way out” of the relationship? Prevent you from doing things you want – like spending time with your friends or family? Try to keep you from leaving after a fight or leave you somewhere after a fight to “teach you a lesson”? Constantly make excuses to other people for your partner’s behavior? Stay with your partner because you are afraid of what your partner would do if you broke-up or left?